Gingerbread activities are always a hit with kids and this batch of literacy and math games is no exception. 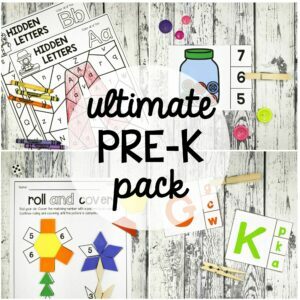 Pre-K and kindergarten students will love the 13 motivating activities including alphabet puzzles, counting activities, sight word games, graphing sheets, pattern cards, addition and subtraction activities and more. 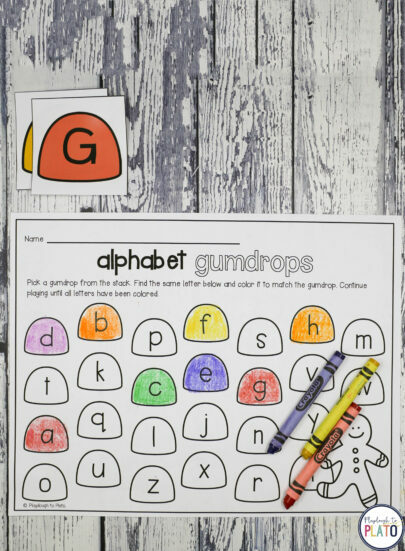 –> Alphabet Gumdrops. Such a motivating way to work on letter recognition and upper and lowercase pairing. –> Beginning Sound Puzzles. 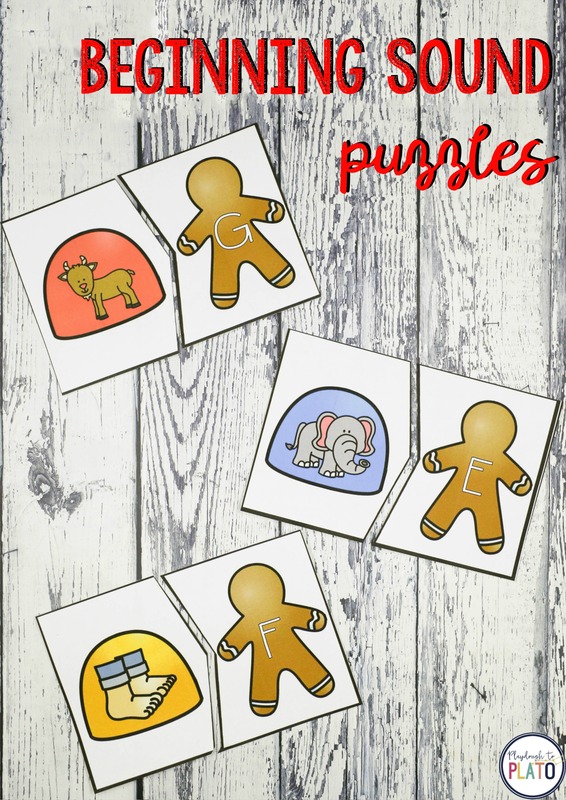 Solve playful puzzles by matching letters to words that start with them. 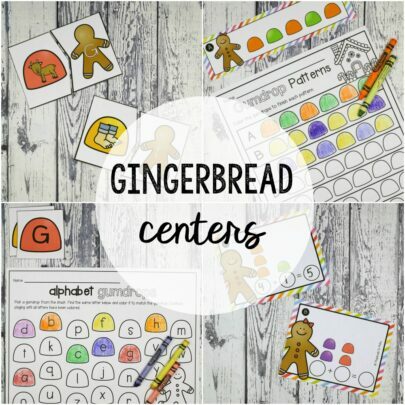 –> Gingerbread Families. 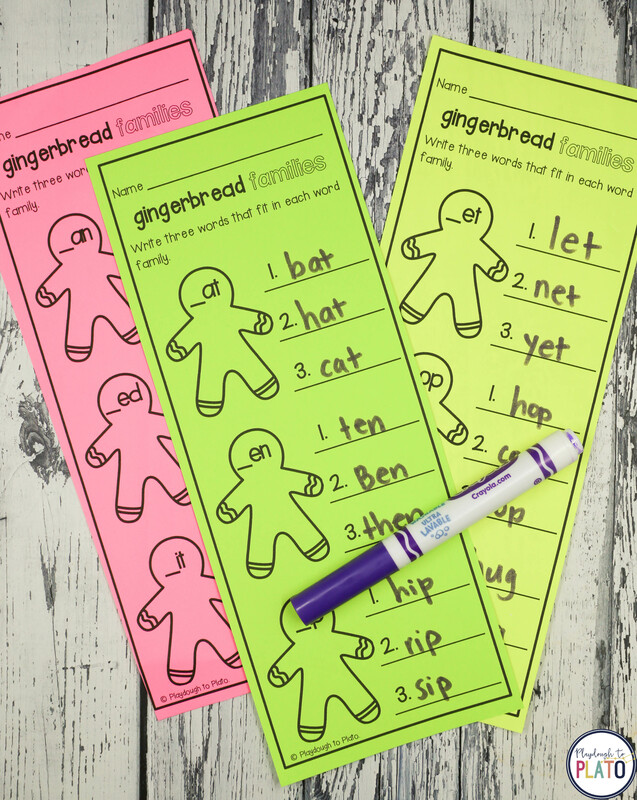 Practice word families by brainstorming three at a time. 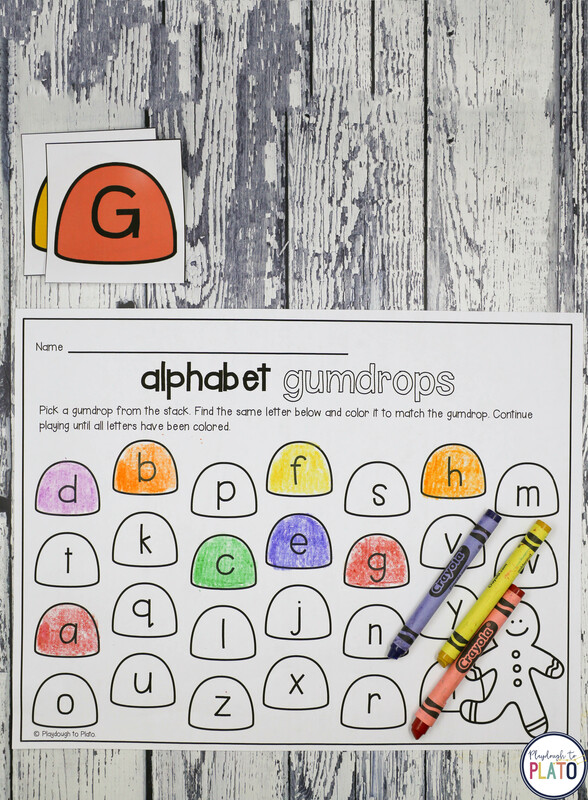 –> EDITABLE Gumdrop Words. Make sight words magically appear on gumdrops! –> EDITABLE Sight Word Race. 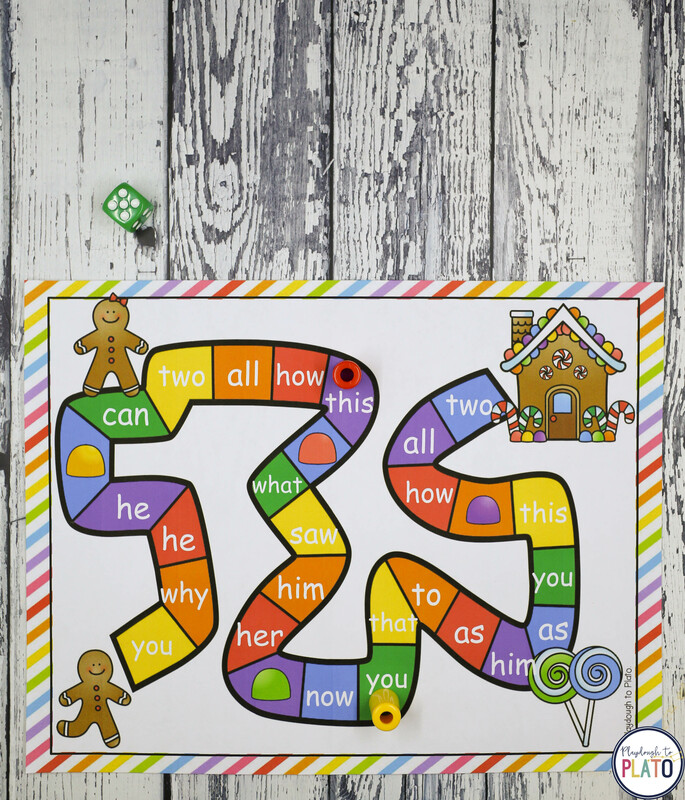 Race around the game board reading and writing sight words! –> Story Starters. 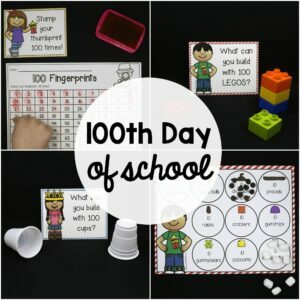 Get kids writing with fun story prompts. –> 1 to 20 Clip Cards. 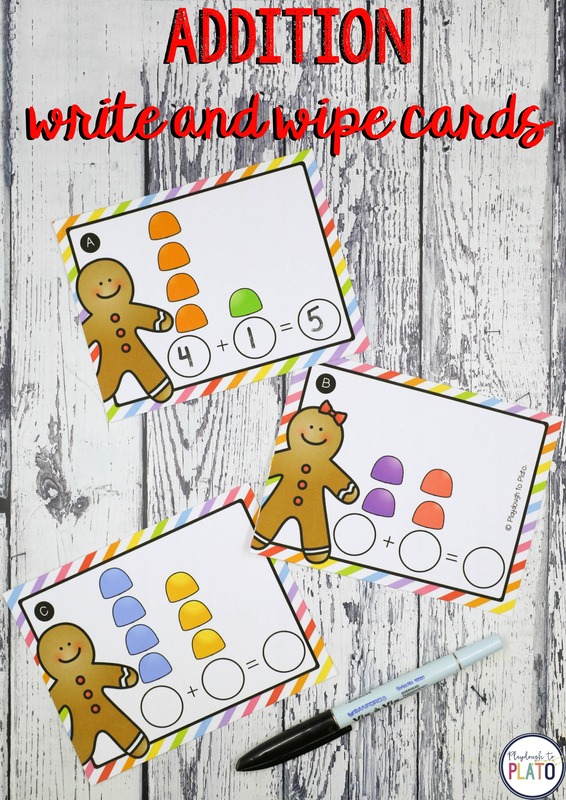 A fun counting, number recognition and fine motor activity in one. 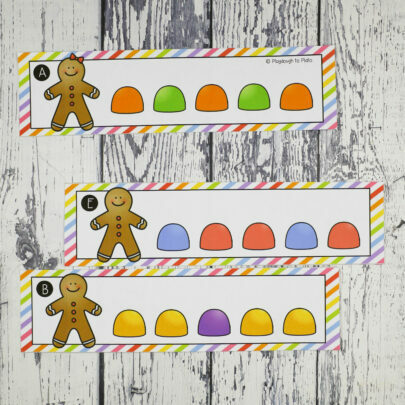 –> Roll a Gingerbread Man. 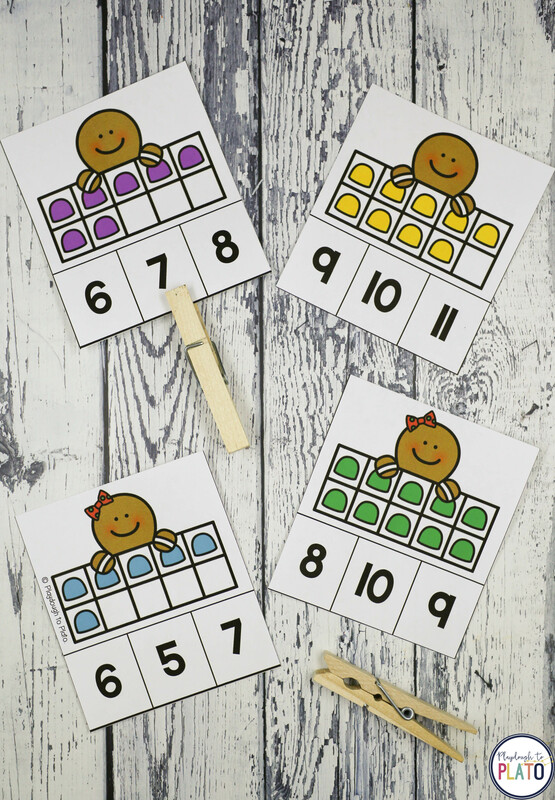 Practice the numbers 1 to 6 with a playful dice game. –> Colorful Numbers. A motivating way to work on number writing. –> Gumdrop Patterns. 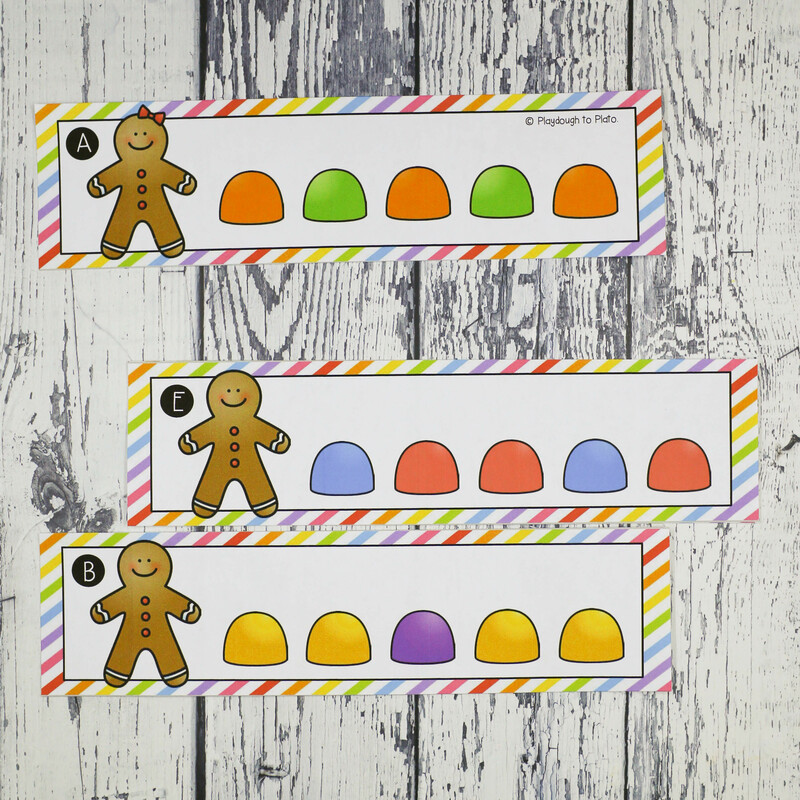 Practice AB, AAB, ABB, ABC and AABB patterns with a holiday twist. –> Shape Graphs. Flick the spinner, name the shape and graph it. What shape reaches the top first? 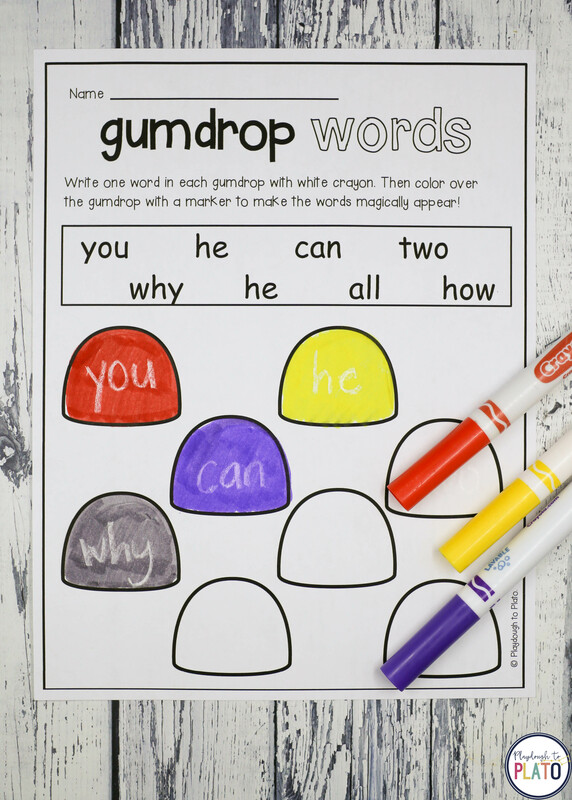 –> Gumdrop Write and Wipe Addition Cards. 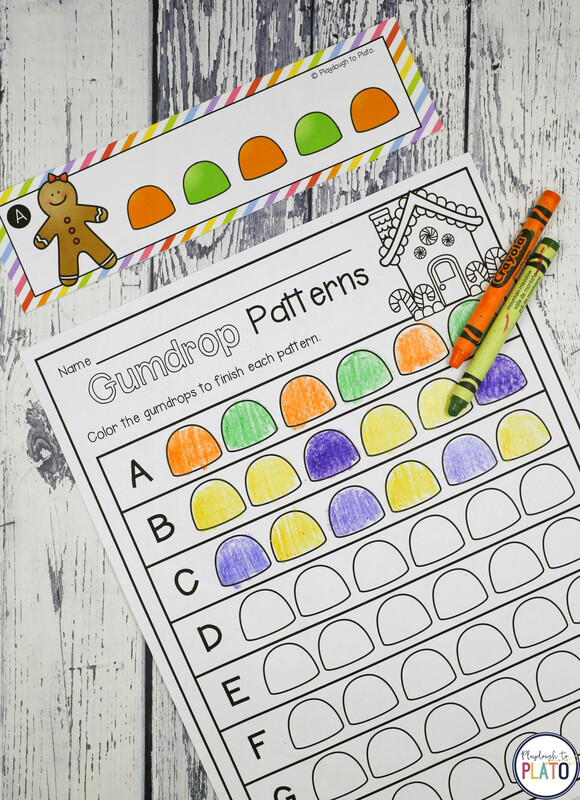 How many gumdrops do you have in all? 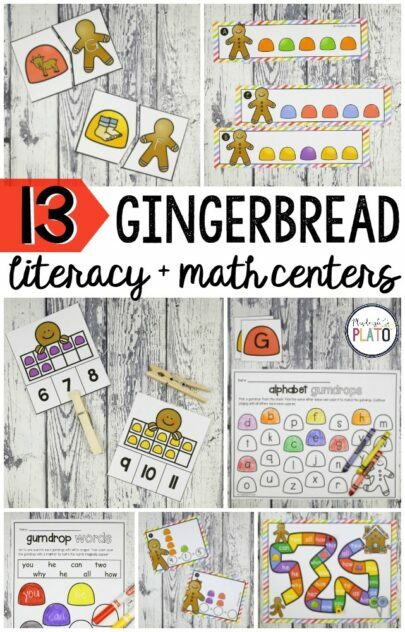 –> Subtracting from Ten. Roll the die and take away that many gumdrops. 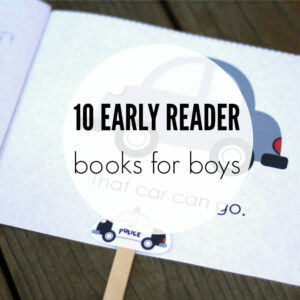 How many are left?